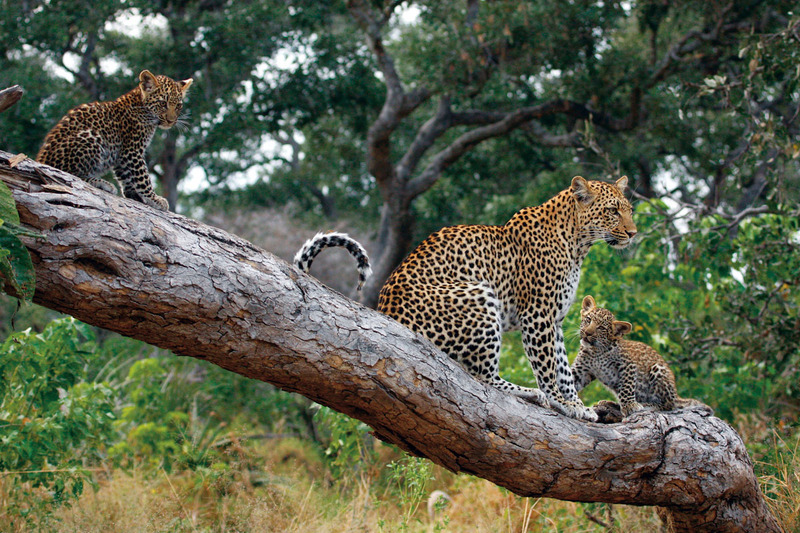 “If you get the details right, a trip to view Africa’s amazing wildlife can be the ultimate adventure for parents and children”. 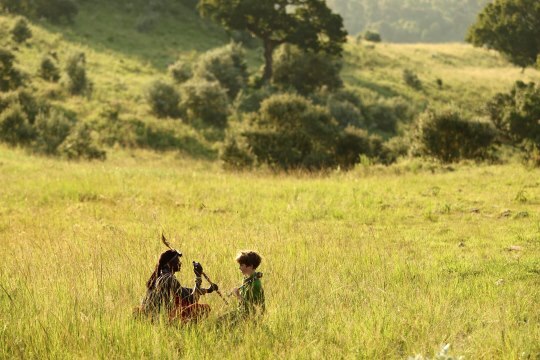 Getting it right on a standard family holiday often means adults compromising for kids’ enjoyment, but that’s not the case on an African safari where flexibility allows some whole family activities as well as periods where children disappear and do their own thing with safari guides or Masai warriors. 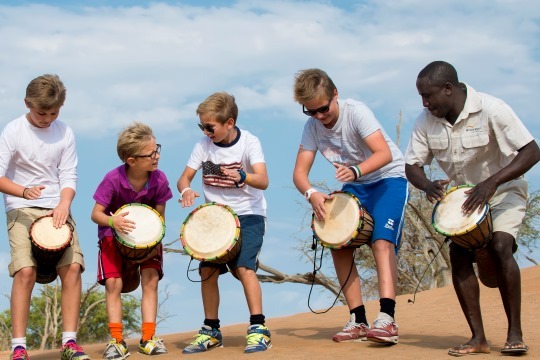 Here are our favourite family safari camps for combining holiday enjoyment with learning, where kids can absorb African cultural or wildlife knowledge while having fun. With a family suite or triple rooms taking care of accommodation for families staying here, wildlife drives can be tailored to children’s shorter attention spans with a private vehicle. 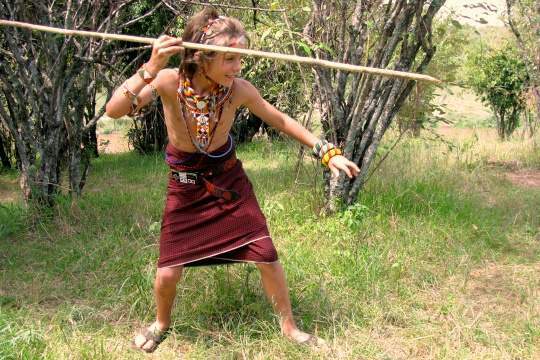 Away from mum and dad, kids can join &Beyond’s Wild Child programme with expeditions that involve activities such as tracking and fishing, making traditional bows and arrows, beading, crafting and painting, as well as fun in the lodge garden, kitchen and more. Hot air balloons rise from the plains of the Masai Mara past the floor-to-ceiling glass fronts of each suite at Angama Mara. The lodge sits on the edge of the Oloololo Escarpment in an area where some of the romantic scenes from ‘Out Of Africa’ were filmed and parents can live out their Robert Redford and Meryl Streep fantasies while their children learn about local culture from a Masai warrior or beading from the Masai women in a studio near the huge swimming pool. Angama has two sets of interconnecting suites, giving everyone in the family privacy while ensuring access at night if needs be. A Bush Buddy with a ‘menu’ of fun things to try comes to you when you stay in a Wilderness Safaris’ camp in Botswana. 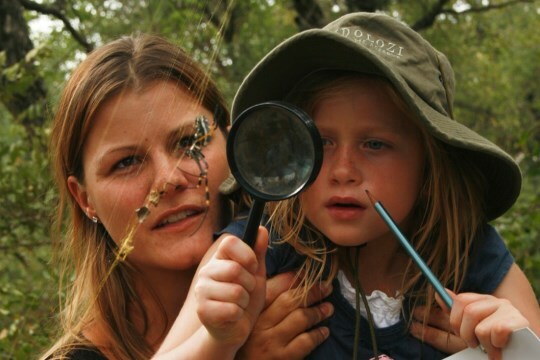 Daytime activities might include: checking for animal tracks, finding out which is the toothbrush tree, trapping, catching and releasing antlions, drumming, arts and crafts with feathers and fur, or bush style cooking with breadsticks and marshmallows over the fire. The fun can continue after dark; perhaps as an after-dinner expedition as mum and dad have their own supper: following the croaking of the frogs to its source, or learning how to navigate just using the night skies. 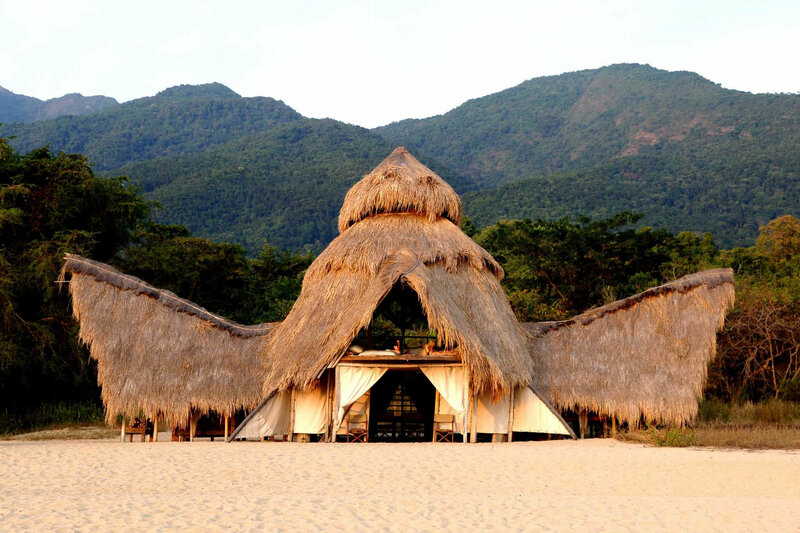 Many Wilderness Safaris’ camps have special family tents with two bedrooms and vehicles can be booked privately for flexibility. Can you follow a track and find a herd of zebra that passed by earlier that morning? How close can you stalk up to a giraffe? It’s tough with their excellent vision and long necks. 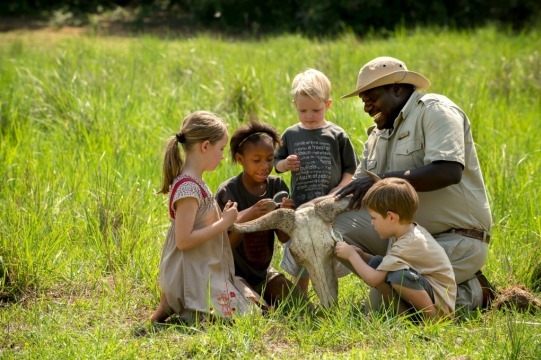 Although Ker and Downey Botswana’s Young Explorer programme is aimed at children on safari, it offers kids of all ages the chance to learn bush survival skills and all about tracking animals. What’s more your family safari can be on an exclusive basis as you take over the six bed Footsteps Camp for yourselves. At Londolozi the safari adventure for children begins in the safety of the lodge’s ‘Cubs Den’ where there are fish ponds for them to splash around in, Land Rovers to “drive”, tents for campouts, and even antelope dung to be spat as far as possible in arguably the most horrible competition in Africa! Founders Camp has family suites connected by ‘sky walks’ – perfect for keeping kids close enough for supervision while they enjoy the freedom of their own space on holiday (and you yours). Kids forget they’re supposed to complain about going on a walk, when they’re tracking ‘Henry’ who has left a series of clues for them to follow: a sandy footprint on a flat rock, a red thread from a robe on an acacia thorn, or grasses bent over as he’s passed by. 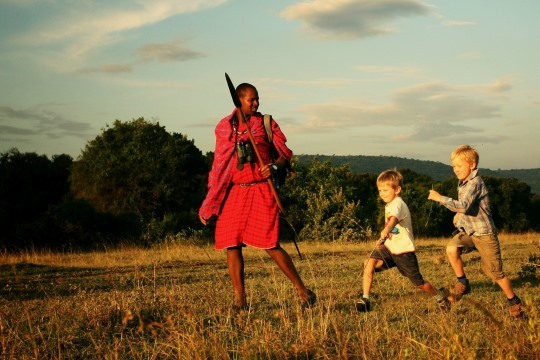 Karisia’s private walking safaris pass through some stunning scenery in Laikipia and are either led by the owners or local Samburu guides who’ve grown up here tending their family’s goats and cattle. Spending time here as a family, away from electronics and urban life, it’s impossible not to return enriched. 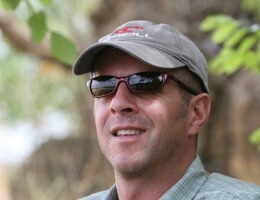 A father wrote the following on his family’s return from a safari holiday in Kenya. 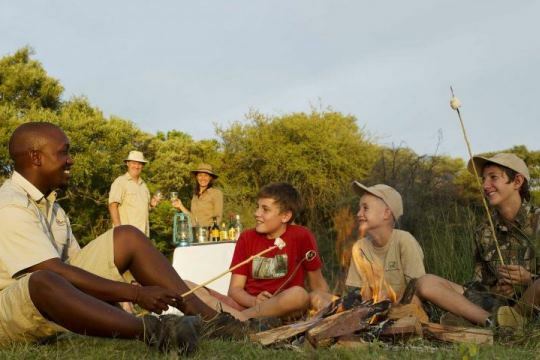 First and foremost family safari holidays should be fun, and we are confident they will be in spades, but any of these camps and safari operators – and many not mentioned here as well – will ensure there’s an element of learning in there too. 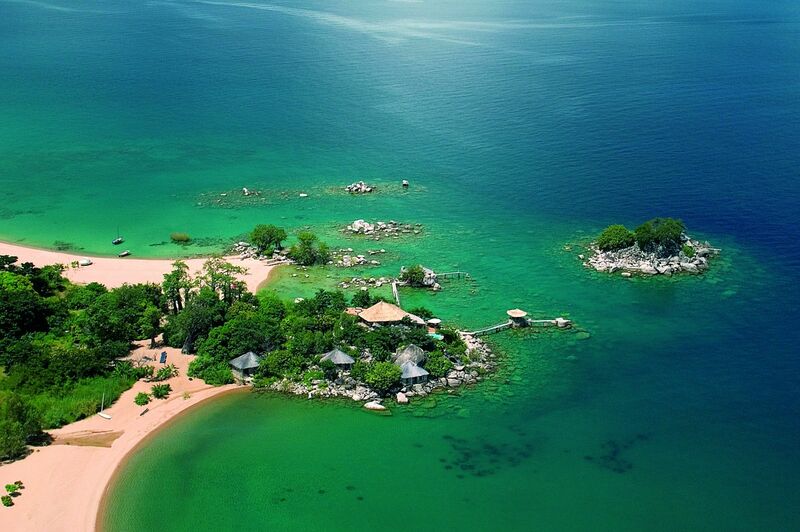 Let our team of family safari experts help plan your holiday. All you need to do is send us an email or give us a call. We’ll ask some questions and start with some ideas, refining them until we have the perfect family safari holiday for you.